Part of our Italian-made Milan Collection, the Marrone Bed boasts incredible styling and craftsmanship. Cubist-inspired lines give Marrone a clean modern look, which contrasts beautifully with the wenge wood finish. Sleek silver legs, chunky wooden footboard and siderails support the oversized headboard accented by mod touch-lamps built right in. 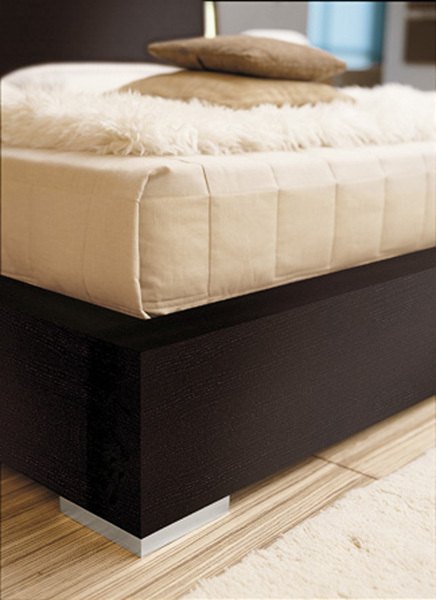 The Marrone Bed is available with or without the pair of matching nightstands. Mattress and bedding not included.